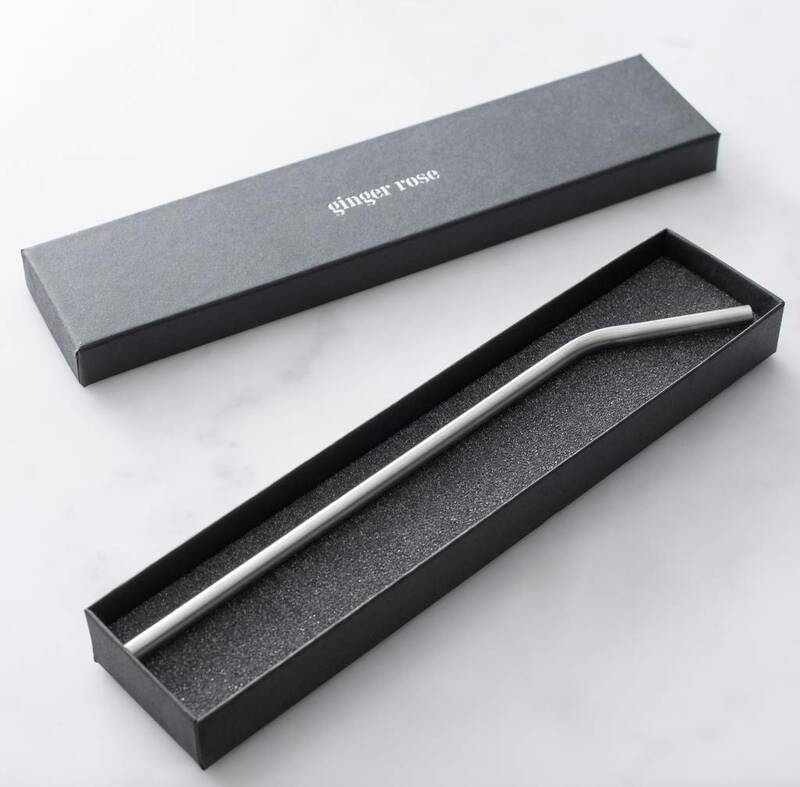 Our exclusive personalised stainless steel drinking straws are the smartest solution to saying no to plastic. 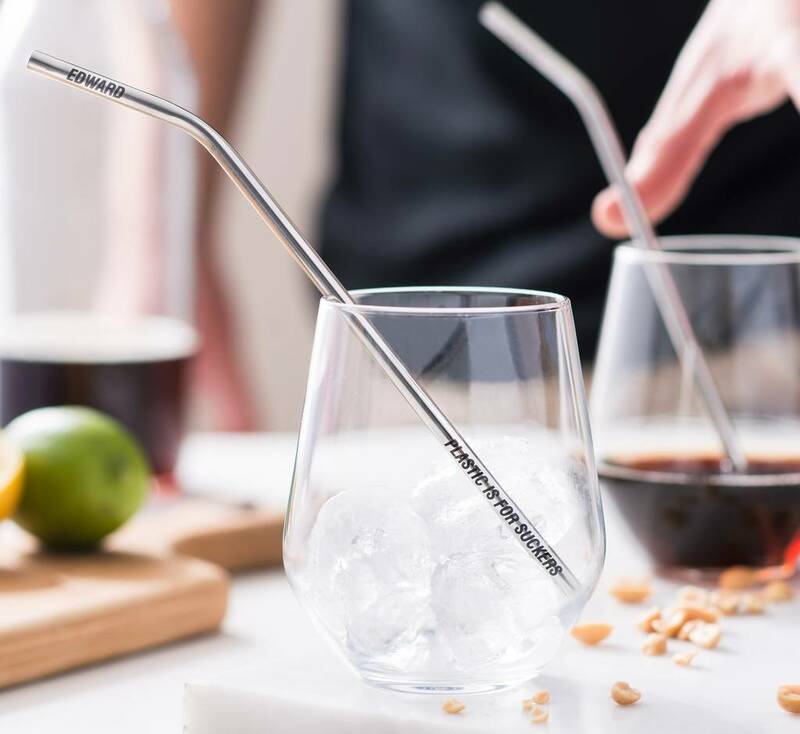 Take drinking to the next level with these personalised reuseable drinking straws. 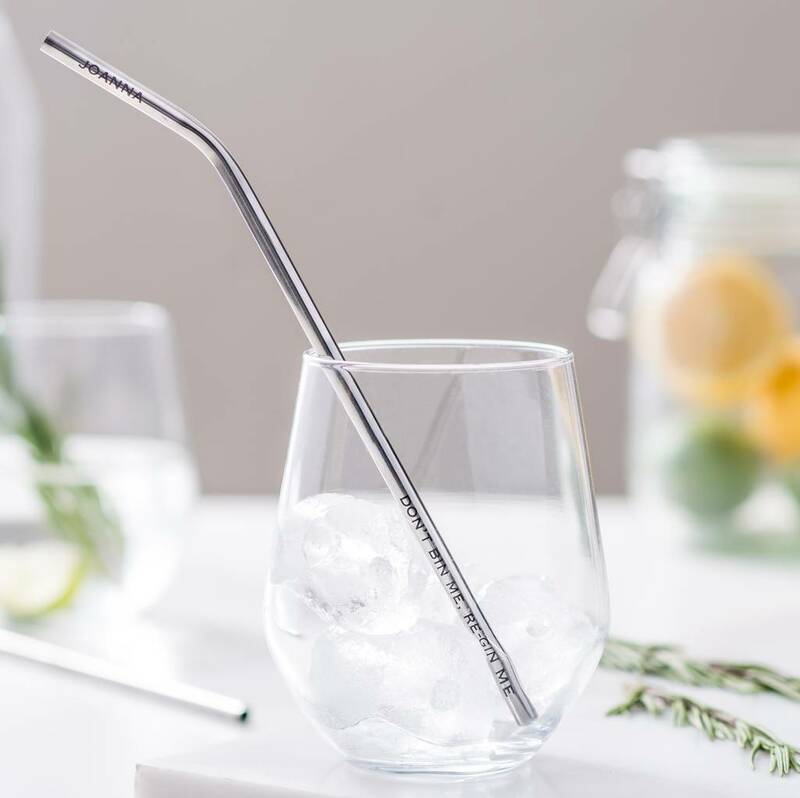 Think of the environment and future sustainability as we say no to plastic straws and yes to reusable. 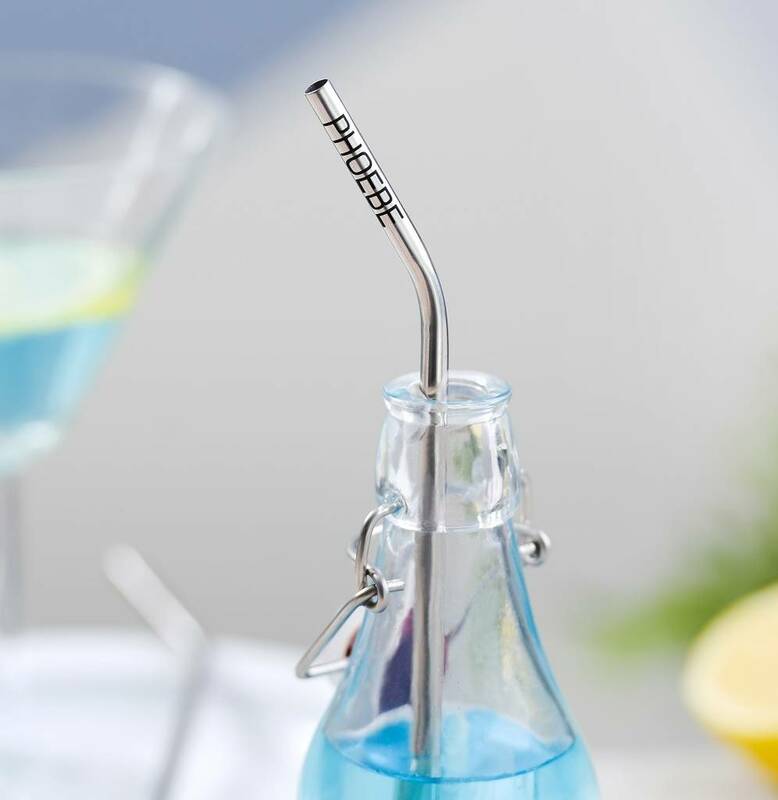 Perfect size and angle to pop in a small bottle of prosecco, milkshake, smoothie or other delightful drinks. 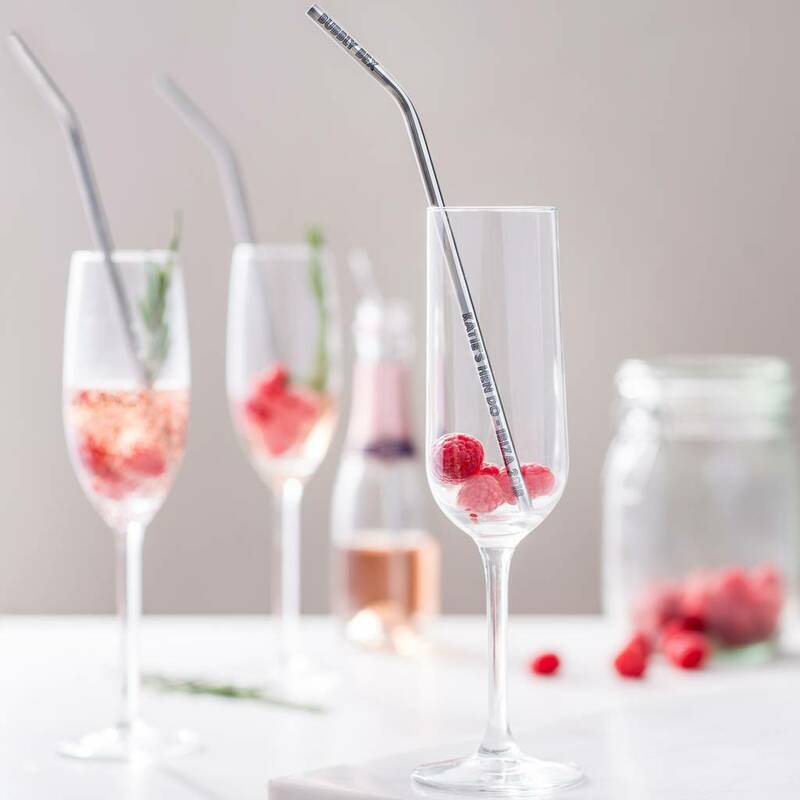 Eradicate drink "mine sweeping" by adding a name to the top of the straw or add a message to the straw length. The straws make a substainable corporate gift, or as table gifts at weddings and other events. Discounts are available for multiple purchases. Please contact us to discuss your needs. 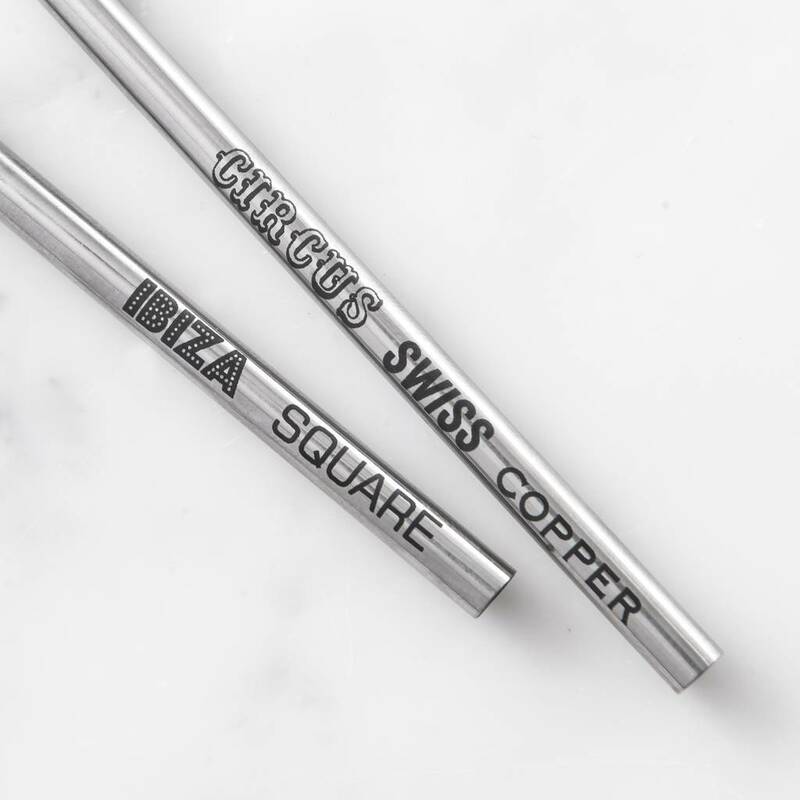 Available plain or personalised. 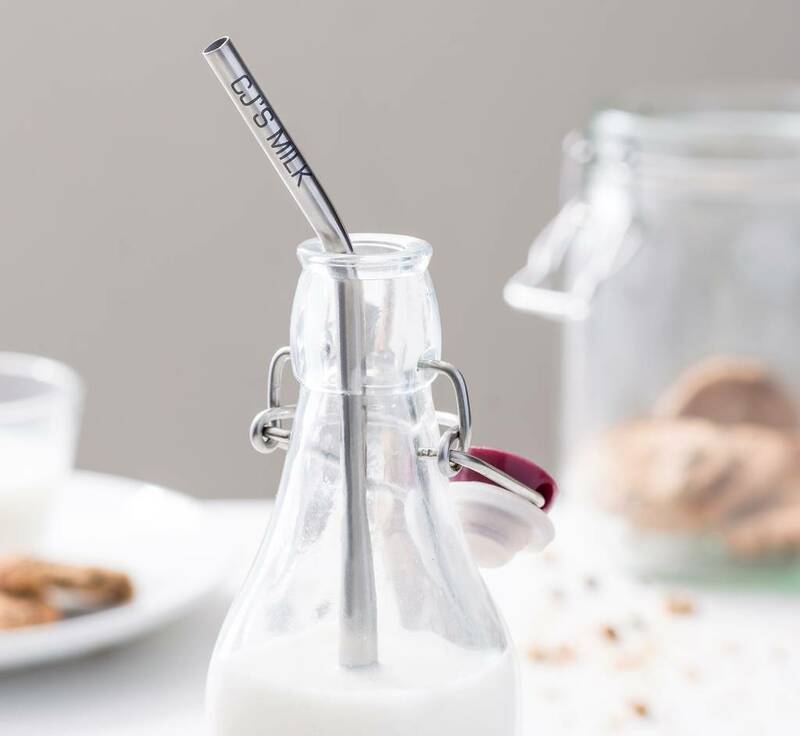 Up to 12 characters on tip of straw plus option to add up to 25 characters on length of straw in a choice of fonts. 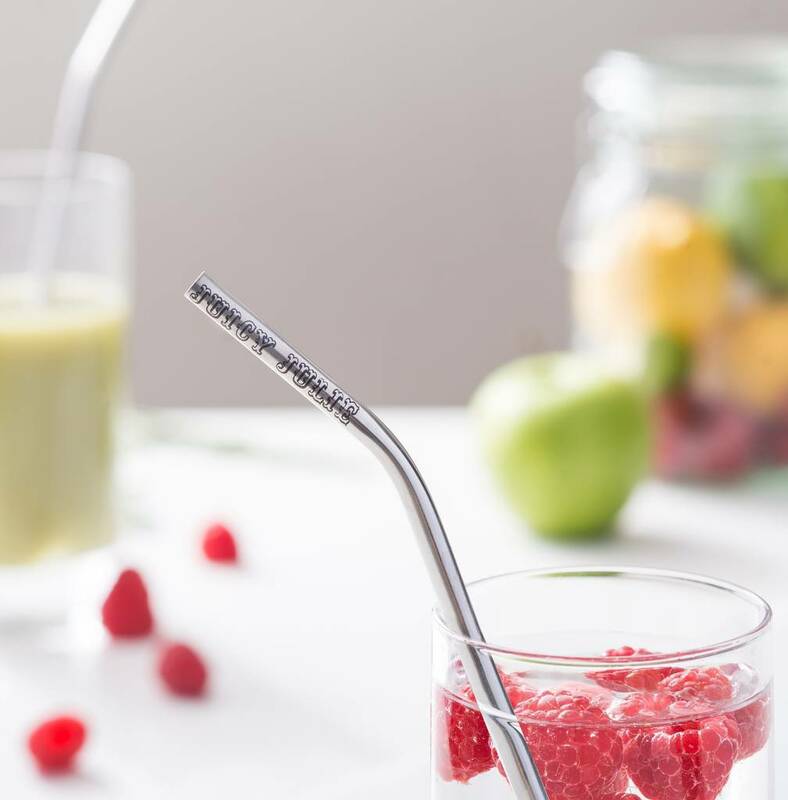 FREE next day delivery on plain straws ordered before 2pm. Allow 1-2 days for our speedy personalisation service. 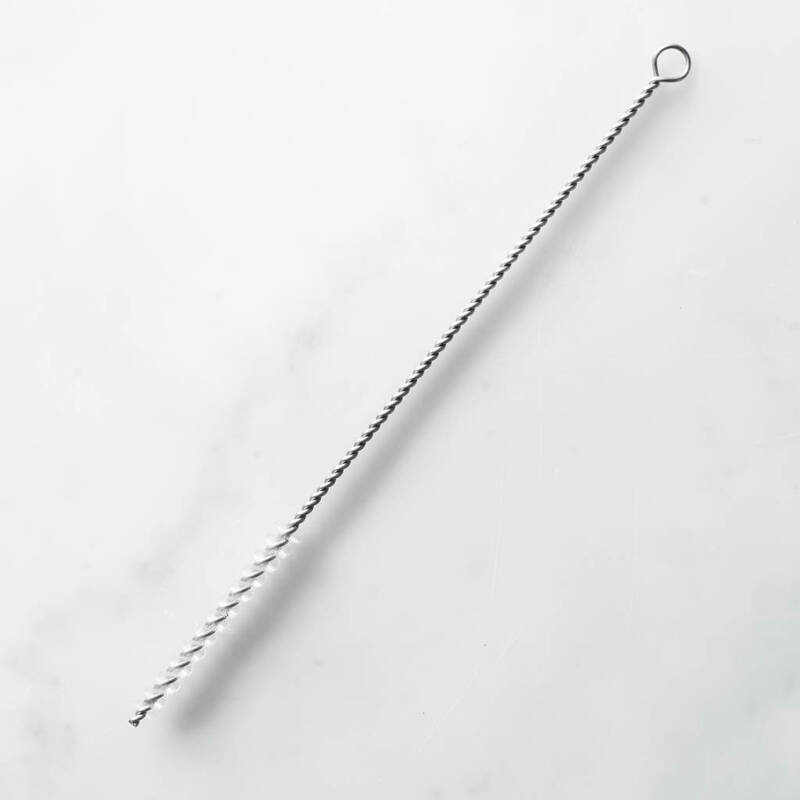 Rinse straw after every use under warm running water, cleaning brushes available as an additional extra.